He set up Corlytics to provide real regularly risk intelligence. Following a tsunami of global regulation arrived for the financial markets in 2009, John realised there was no joined up intelligence and predictive analytics to help the banks, regulators and their advisors make informed decisions. Corlytics was formed in 2013 and today is the global leader in regulatory risk intelligence. John is a frequent speaker at industry events and has spoken at events such as SIBOS and NEMA. 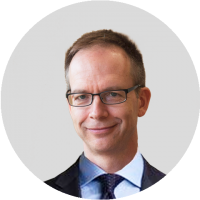 He has also spoken at many other conferences on operational and systemic risk and more recently at RegTech Summits in London and New York. Hazel is Head of Delivery at Corlytics. Her role entails managing the delivery of all projects both internally and externally. Hazel deals directly with our clients and ensures a smooth and efficient implementation which exceeds our clients expectations. Hazel brings to this role over 15 years’ experience in the financial services and software industry. Starting out in the dot com boom, her experience covers both national and international financial services organisations as well as bringing experience from other global sectors such as Utilities. 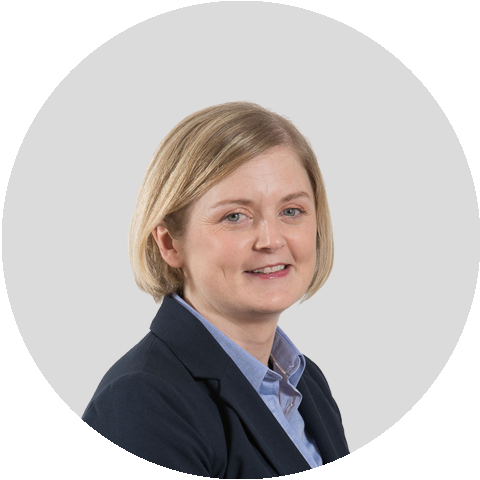 Hazel is a seasoned project manager having managed large scale projects across organisations in the regulatory, payments and change management areas for companies such as Bank of Scotland (Ireland), AIG, and Actavo. She has also consulted on many projects in the Agile and client delivery space and enjoys working in a cross functional capacity. Hazel holds a Bachelor of Business Studies from the Institute of Technology Tallaght, Dublin and a Graduate Diploma in Computer Science from University College Dublin. Tim Sweeney is SVP North America for Corlytics and is helping the global team deliver on the company’s ambitious growth agenda. 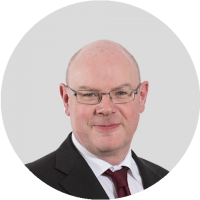 Mr. Sweeney is a veteran in fintech and data mining with over 25 years’ experience, holding a number of senior appointments in the international financial services sector. Tim previously founded Fintech Partners, and spent many years in strategic corporate development roles at Dow Jones. Most recently leaving the risk solution arm of Thomson Reuters to join Corlytics. Kirsty Leighton is responsible for internal and external global communications at Corlytics. As a member of the leadership team Kirsty leads the marketing communications and corporate PR activity. Kirsty’s expertise lies in brand building and corporate reputation enhancement. Alongside her responsibilities at Corlytics, Kirsty runs a corporate PR agency, Milk & Honey, based in London. Kirsty has held several senior communications consultancy roles spanning city and financial communications, technology PR and corporate and brand communications. She is multi-award winning, having created campaigns for a wide variety of listed and private businesses, promoting and protecting their reputations. Liam Griffin is head of sales strategy and chief commercial officer at Corlytics. Liam oversees Corlytics’ sales organization and is responsible for driving the company’s growth as the global leader in regulatory risk intelligence. He brings more than 18 years of global technology leadership experience to Corlytics. He has a proven track record of designing go-to-market strategies and building and operating business development teams in Ireland, Europe, North America and Asia Pacific. Across his career spanning public companies such as IBM and Cap Gemini as well as private, Liam has consistently delivered strong revenue growth, with consistent high levels of profitability. Ken Hartlage looks after the development for our North American business. Ken was one of the earliest additions to the Corlytics leadership team having worked closely with CEO John Byrne previously at Information Mosaic. Ken has over 20 years direct experience in banking, having held senior positions at Brown Brothers Harriman and JPMorgan. Ken has a BA from University of Virginia and an MBA from Adelphi University. John Keane is chief operating officer at Corlytics. He is responsible for the day to day running of the business. An engineer by profession, John manages the Corlytics global infrastructure that enable Corlytics to deliver market leading regulatory risk intelligence and associated services. His areas of responsibly cover regulatory risk analysis, data curation, product engineering, professional services, marketing and IT. He has over 20 year’s experience in the international software sector and brings strong management and financial services experience to his role as COO. He has held a number of senior executive positions including General Manager, Director of Services, Director of Engineering and Director of Product Management. 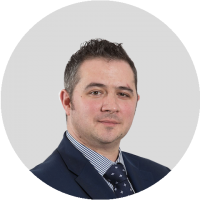 John has hands on experience in all stages of software company evolution having grown a software business from start-up through to public listing and having had full P&L responsibility for a Global Business Unit in IBM. John has strong client facing skills with proven team leading and technology envisioning expertise. He was a member of senior management team that led successful sale of The Now Factory to IBM in October 2013 and a member of senior management team that led successful sale of Norkom Technologies to BAE Systems for €217m in February 2011. John holds a Masters and Bachelors degree in Electronic Engineering from Dublin City University. Tom is Chief Finance Officer at Corlytics. He is an experienced Chartered Accountant with over 25 years’ senior level experience in the International Financial Services sector. 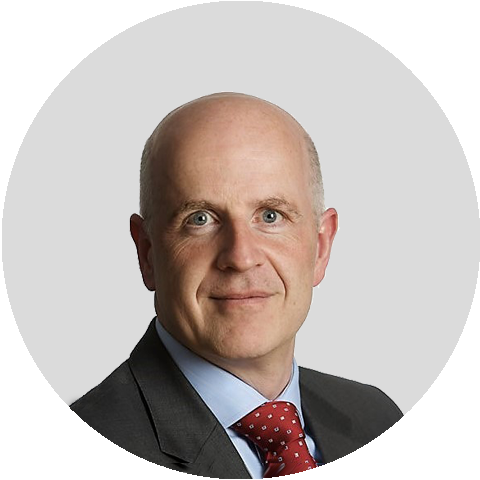 Tom has held roles of Managing Director, General Manager, Chief Finance Officer and Chief Risk Officer in international financial services companies. His previous role was Managing Director of Canada Life International Assurance (Ireland) Limited and was part of the senior management team that led the successful sale of the business on behalf of Legal & General Group PLC. Tom brings significant experience to his role in areas of financial management and control, corporate transactions (acquisitions, trade sales, market floatation and transaction due diligence) corporate business planning, contract negotiation, managing relationships with regulators, re-engineering business process, and building governance functions. Prior to working in the financial services sector Tom worked for 13 years with Deloitte. Tom holds a Masters in Management Practice from Trinity College and is a Fellow of the Institute of Chartered Accountants in Ireland. Kevin O’Leary leads product management at Corlytics where he is responsible for product strategy and roadmap. Kevin brings more than 20 years’ experience in product management, financial crime risk monitoring, analytics and technology. He joined Corlytics from BAE Systems where he led the financial crime product portfolio. At BAE Systems he was responsible for regulatory compliance, fraud and risk solutions delivered to Tier 1 financial institutions and government customers globally. Corlytics is Kevin’s third start-up, having previously worked for Norkom Technologies (acquired by BAE Systems) and Straatum (acquired by Lam Research Corporation). Kevin holds a Bachelor of Engineering in Electronic Engineering, an Masters in Applied Mathematics and has been granted six patents for the industrial applications of analytics. As director of EMEA sales, Severine Melis-Cooper is part of the European leadership team at Corlytics. She has over 15 years’ experience in the Fintech sector in Europe, with a very strong track record of overachieving sales targets and opening new markets. Severine holds an M.Sc. International Securities, Investment and Banking from University of Reading and a M.Sc. Economics from Université Paris Dauphine. She joined Corlytics from Fidelity National Information Services (FIS) where she held the role of EMEA head of utility sales. She was formerly at SmartSteam Technologies as global head of sales in fees and billing solutions, and before this at RiskMetrics (now MSCI Risk Solutions) where she set up and headed the French office for several years. As head of technology for Corlytics, Ray has responsibility for product engineering, technical architecture, and technical strategy. Prior to working with Corlytics, Ray was chief technical architect for NetReveal, a division of BAE Systems focused on the detection and prevention of financial crime. Ray joined BAE Systems through its acquisition of Norkom Technologies, a company of which he was co-founder in 1998. Prior to that Ray worked for Cap Gemini, where he established its technology consulting practice in Ireland, and for a number of software companies in Ireland. Ray brings to Corlytics decades of experience in architecting and delivering high-performance analytical software products to global Tier 1 and Tier 2 financial institutions to fit within their mission-critical infrastructure. Ray holds an honours degree in Computer Science from University College Dublin. Mike O'Keeffe is general manager of Corlytics Solutions Limited, which serves the UK market. As general manager, Mike is responsible for leading operations in the UK and ensuring customer needs are met, from initial sales conversations right through to product delivery and on-going support. Mike works closely with customers to exceed expectations and ensure that they gain an immediate return on their investment through successful solution implementations. He has over 15 years in the development and delivery of advanced analytics solutions for the risk, compliance, fraud and security markets to major blue-chip organisations. Prior to working with Corlytics, Mike held roles as general manager of security product innovation at Telstra, as VP of product management and product marketing at Cognevo, and had senior product management and delivery roles at BAE Systems Applied Intelligence and Norkom Technologies. 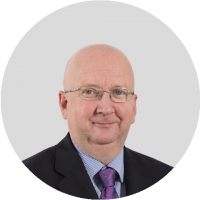 Mike holds a degree in Industrial Biochemistry, and a graduate diploma in Technical Communications from the University of Limerick and an MBA from Dublin City University. 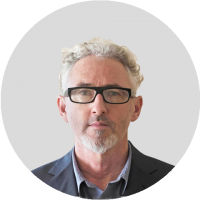 As a senior consultant based out of Sydney, Andrew Pearce is responsible for promoting the development of opportunities and relationships for Corlytics in the Australasian market. Andrew has over 25 years’ direct experience in investment banking, structured financing and lease financing sectors across multiple jurisdictions and has held senior positions with Macquarie Bank and within key transportation organisations. Andrew holds a Bachelor of Commerce and Bachelor of Laws from the University of New South Wales and a Master of Laws from the University of Sydney. Peter Ledbetter acts as a board member for Corlytics and he also holds a seat on the board of The Irish Aviation Authority. Peter is a graduate of Trinity College Dublin, University College Dublin and alumni of Harvard Business School. He is a member of the Institute of Chartered Accountants. 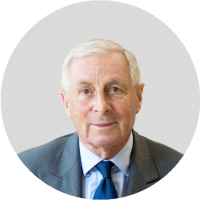 Having spent several years with Coopers & Lybrand, Peter joined GPA Group at its inception in 1975 where he was closely involved in the formation of the company’s evolving strategy, as well as the execution of its policies from 1975 to 1990. He was an executive director of Irish Life and Permanent from 1991 to 2000. Cyril McGuire is a celebrated technology entrepreneur and investor. He joined the Corlytics’ board in 2017. Cyril is one of Trintech Group PLC’s co-founders, where he has been a director since 1987, as chairman of the board since August 1999. Mr. McGuire served as Chief Executive Officer of Trintech Group PLC from February 2002 to January 17, 2011. Before co-founding Trintech, Cyril worked with the Industrial Credit Corporation PLC, a leading Irish commercial bank, from 1982 to 1987, where his responsibilities included the appraisal of electronic industry investment projects. He received a bachelor of commerce and master of business studies from University College Dublin. Cyril is a member of the Board of Michael Smurfit, Graduate School of Business and a member of the Marketing Institute of Ireland. 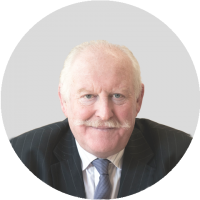 Denis Marnane has been involved in venture capital and corporate finance for over 30 years. He took his seat at Corlytics’ board in 2017. He headed up Foirto and then moved on to become a senior executive of Enterprise Ireland. Within Enterprise Ireland as chairman Denis was responsible for setting up and many of Ireland’s financial technology venture capital companies. Alan Mullen has been involved with television and commercial production for nearly 30 years both in London and Los Angeles, where he currently resides. Clients include Apple, BMW, Ford, Mercedes, Procter & Gamble, Toyota, Verizon and Warner Bros.
Niall Olden has led multiple fundraising, mergers, acquisitions and trade sales of Irish technology companies in transactions across the US, Europe & Asia over the last 20 years. He established Kernel Capital in 1999 and under his direction the firm, with offices in Cork, Belfast and Dublin, has delivered funds with an average IRR of 20%+ per annum for each year from 2002 to 2015. He holds a wide range of fund portfolio directorships. Niall is a Chartered Management Accountant, holds a B. Comm from University College Cork National University of Ireland and an M.Sc. International Business from Trinity College Dublin where he completed a First Class Honours thesis ‘Kernel Capital and the Irish Venture Capital Market’. He currently is a member of the Cork Education & Training board, the Audit Committee of University College Cork National University of Ireland, the Advisory Board of the Telecommunications Software and Systems Group at the Waterford Institute of Technology, and is a Director of the Irish Venture Capital Association.